Jewel Case Release – 2nd Release ‘Plain’ Version. Disc has deeper saturation in color, fine print on back insert is moved down. 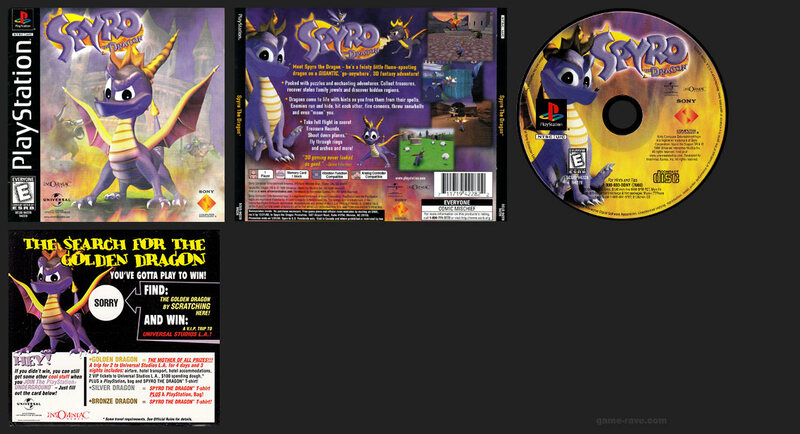 Meet Spyro the Dragon – he’s a feisty little flame-spouting dragon on a GIGANTIC ‘go-anywhere’ 3D fantasy adventure! Dragons come to life with hints as you free them from their spells. Enemies run and hide, hit each other, fire cannons, throw snowballs and even “moon” you. Take full flight in secret Treasure Rounds.Shoot down planes, fly through rings and arches and more! Jewel Case Variant – Sweepstakes Version. 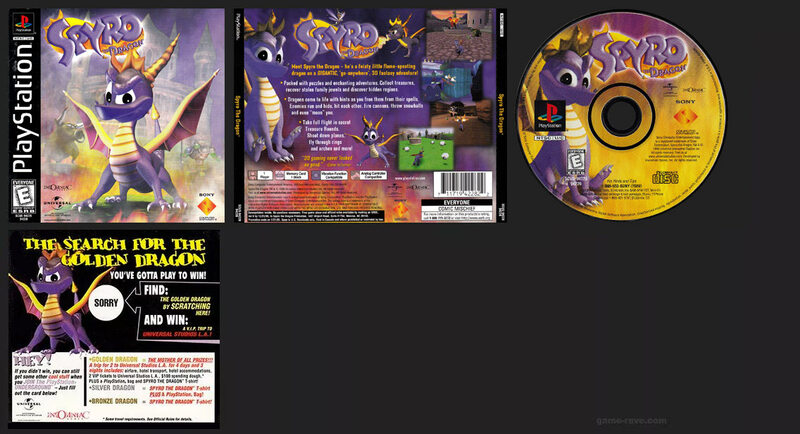 Disc art is less saturated, included card, and the back insert has a black box of fine print on the back. This was the first release of the game. The Greatest Hits editions may have a mis-cut manual where the top was too close to the PSX Logo. 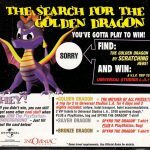 The original print run of Spyro the Dragon contained a Sweepstakes card to win a trip to L.A. and other prizes. The card itself is actually a giant accordion pamphlet that was too large to properly scan in and display, so we have just shown the scratch off side here. 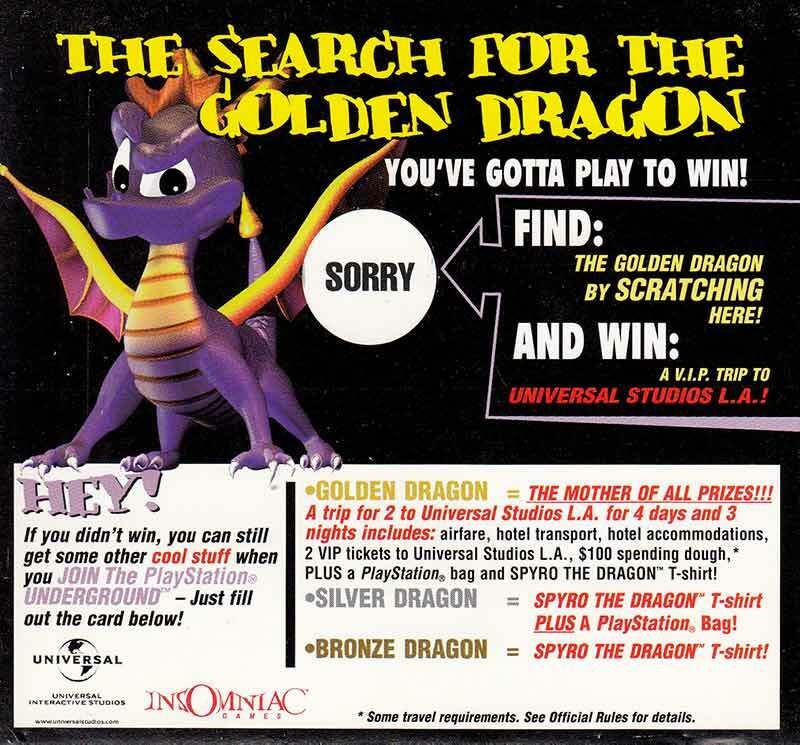 Besides the rules and entry form, it had an ad for the PlayStation Underground. For those without the manual, there was a secret demo of Crash Bandicoot 3: Warped on the disc. At the New / Load Game Menu, hold down L1 and Triangle to access it.